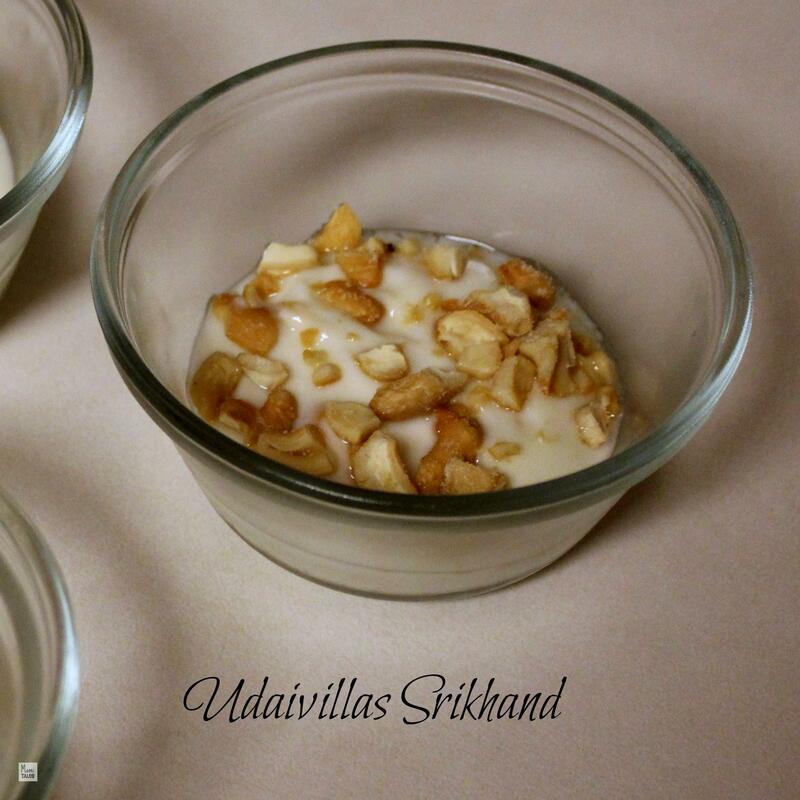 Anyway, here’s a very easy and yummy Indian dessert for children to make called Srikhand, which I learned during my husband and my stay at Udaivillas in Udaipur India (one of the most beautiful hotels in the whole world, and I’m not the only one to say it, check it out). It uses hang curd, but Greek yogurt is a perfect substitution for this — same flavor and texture, plus it is packed with proteins and calcium! The girls loved the hint of flowers in the flavor, as well as the sweetness of it, combined with the nuts. A yogurt base dessert with nuts and the essence of flowers that tastes like India itself. Cream the hung curd or Greek yogurt and icing sugar together to remove the lumps. Add a few drops of Kewra essence and rose water to the mix. Steep a few tendrils of saffron in TBSP of boiling water to make saffron "tea" and use a few drops for the mixture. Slice or cut the nuts and add to the dessert. You can buy the rose water, kewra essence and saffron at any Mediterranean or Indian specialty store. The story we read to go with this recipe is based on a Rajasthani folk tale and said to be one of the most beautiful books of 2013, “Gobble you up” by Sunita and Gita Wolf. The book is handmade and a real work of art. It talks about a greedy jackal that can’t stop eating everything around him. 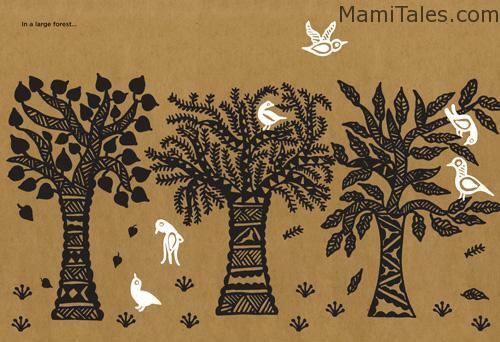 It is a combination between Little red riding hood and The Little old Woman who swallowed a fly, set to a series of illustrations done with silkscreen printing. Oh the timing!! I was asked for Indian themed ideas from a teacher just last week, via Twitter. I have replied with the link to your fab post. Thank you!! So glad it worked! There’s also another post in this site for Indian books and recipes: Indian Ladoo. Let me know how it turns out! Wow, what a beautiful book and HAND MADE? Impressive. Thanks for including the recipe and including this post on the Kid Lit Blog Hop! Have a super rest of the week and week ahead. StanleyNKatrina will be sharing this post on Twitter. So much fun to be a part of this. I’ve discovered quite a few books I want to read to my kids! The boo looks so unique, i can’t say i remember the story, but i agree the art looks stunning. Thanks for sharing on Kidlit Bloghop, looking forward to see what you “find” for the next hop! Also curious about how the conference went?? would love to visit one of these days. Reshama, the conference was great! It’s a two day thing and they really pack your time there with wonderful speakers. I walked out of #womengetsocial knowing a ton more than before 🙂 I do recommend it very much.